We are manufacturer, supplier and Exporter of wide spectrum of Servo Voltage Stabilizer and Voltage Regulators, which are used with various electrical and electronic applications. As per the specific needs of the clients, we are engaged in providing a high quality range of Servo Voltage Stabilizer. 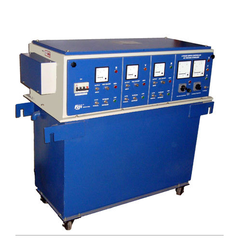 - We offer high quality range of Servo Voltage Stabilizer.